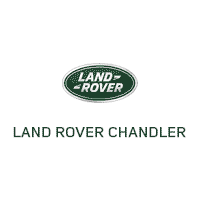 As your Phoenix Land Rover dealership, Land Rover Chandler is dedicated to delivering high-quality service during each step of the car ownership process. This means that we always offer genuine OEM Land Rover parts to our customers. Whether you’re planning a DIY home auto project, need Land Rover service, or want to accessorize your luxury SUV, we have you covered. Our service department always has a wide range of genuine Land Rover and Range Rover parts in stock at all times, because we know how crucial it is to fit your vehicle with genuine manufacturer parts. Using OEM Land Rover parts over aftermarket parts can be the difference between having an SUV that runs on the Gilbert roads for years to come and a car that dies out prematurely. Whether you’re considering Land Rover maintenance and repairs or want to browse Range Rover accessories, you can ensure that you’re getting the right product for a fair price by purchasing parts and accessories from our parts department. Simply order your Range Rover parts and accessories online, then we’ll call you as soon as your parts are ready for pickup. If you have questions about Land Rover parts and accessories in the meantime, feel free to reach out to our parts department directly or visit our dealership near Tempe.